There are a lot of copy-cats when it comes to copper peptides, and we have tried them all, but the majority have not been formulated properly to deliver results. 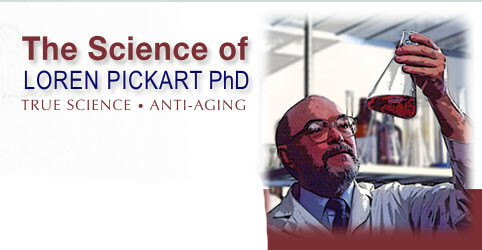 We ONLY feature Dr. Pickart's, Skin Biology branded, products. Dr. Pickart, a cell biologist, has devoted his entire career, learning how the skin works, renews itself, heals itself, and what can go wrong in the process. And within those 50+ years he has made astounding and remarkeable discoveries and...learned how to formulate them without the active/discovery losing efficacy. Lots of science and we are working on ways that we can provide you with what scientists around the world are finding. Nothing short of amazing. Because the tripeptide GHK CUII is so amazing you will find lots of products brands trying to make money off the tripeptide copper. Don't get fooled and waste your money on the cheap imitations that won't deliver results. We have even seen the tripeptide formulated with Kojic Acid...known to inactivate the GHK Tripeptide. Trust only Pickart copper peptide products, the scientist who discovered them and worked with them for many years to intimately understand how to formulate and keep them active. Les Pieds Doux Foot Cream 4 oz. P & R Body Lotion - 8 oz.